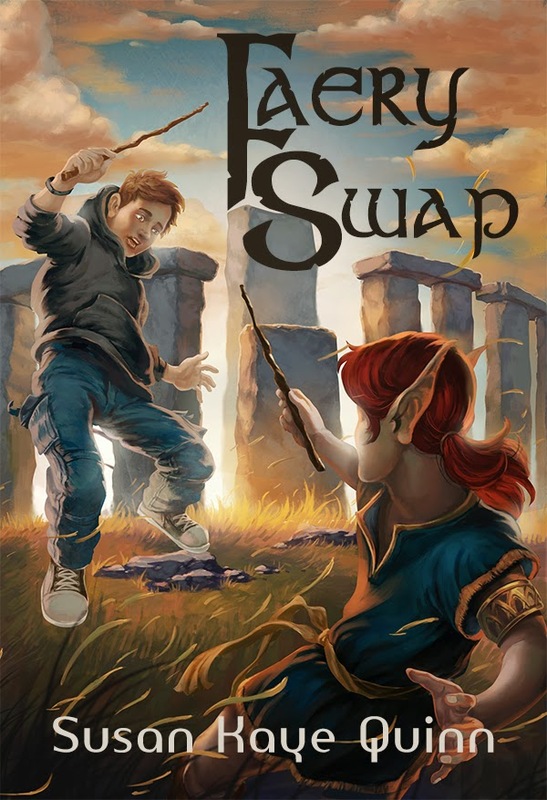 My new middle grade fantasy, Faery Swap, is about a fourteen-year-old boy who is tricked into swapping places with a warrior faery prince and has to find his way back home before the dimensional window between their worlds slams shut. In my prior life, I worked for NASA and got a lot of degrees in engineering. (Yes, I really am a rocket scientist and have the Ph.D. to prove it!) I used the logical-left-side of my brain to design aircraft engines and study global warming. Now that I write fiction, I love using the creative-right-side of my brain to create compelling characters and dramatic adventures as well as the logical-left-side to weave math, science, and technology into my stories. Math and science have always seemed wondrous to me, so it made sense to me that the warrior faeries in Faery Swap would steal mathematical knowledge from humans in order to enhance their magickal faery powers. In my story, knowledge is literally power. I'm passionate about this message - that knowledge is power and math is magick - and the ethical use of that knowledge is a key theme throughout the story. I wanted to share this message, so I created a Virtual Author Visit, Common-Core-based Teacher's Guide, and a card-based game, so any teacher, anywhere on the planet, could share this message with their students. In this video, I share my background in science and engineering and talk about the book, then show how humans use math in the real world to do amazing things... even without magick to help them. The Teacher's Guide, activities, card game, and videos are meant flexible - teachers and librarians can spend as little as 2 minutes sharing the trailer or they can use the materials to create a whole unit around the book and the Knowledge is Power When Math is Magick theme. My hope is that some of my love for math and science will rub off on young readers, and that kids will see they each have an inner warrior faery capable of seeking knowledge and performing great deeds with it! (Click here to find out more about the Virtual Author Visit). Susan Kaye Quinn is the author of the bestselling Mindjack Trilogy, which is young adult science fiction. Faery Swap is her foray into middle grade, which is her first writing love. Her business card says "Author and Rocket Scientist" and she always has more speculative fiction fun in the works. You can subscribe to her newsletter (hint: new subscribers get a free short story!) or stop by her blog to see what she's up to.